Designed for unrestricted head-to-toe C-Arm positioning during image-guided procedures, this unit offers structural stability and manufacturing quality at an affordable price. The extra-large 80" x 24" carbon fiber tabletop has no cross members between the two C-shaped supports at each end of the table. 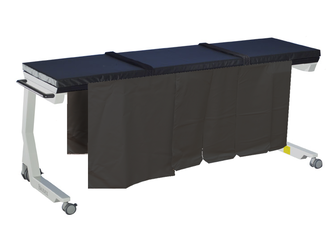 This open side-cantilever design provides unobstructed end-to-end C-Arm placement for full head-to-toe fluoroscopic visualization of any size patient. 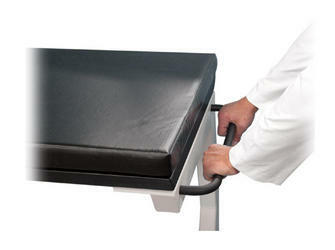 Two-inch thick table padding assures patient comfort during lengthy procedures. 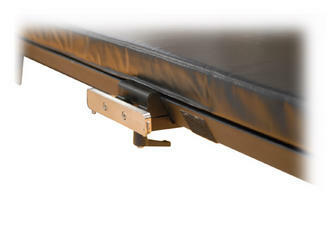 Adjustable straps with hook and loop fastening are provided for increased patient stability. 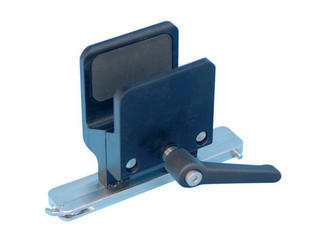 Twin-wheel locking casters provide smooth transport and secure table positioning. 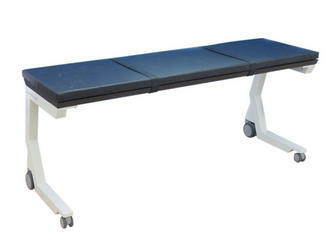 Patient Capacity: 500 lb (227 kg); weight tested to four times the patient load rating. Fits 840, 846, 870 and 056-025 tables. Dock-to-Dock Delivery – the quickest and most economical delivery service. Requires a raised loading dock at delivery address. White Glove Service – Inside, full-service delivery. Table is uncrated and brought to customer designated area. All debris is removed. Loading dock is not required. Future Delivery – Request delivery of imaging table for a specified future date. Indicate on P.O. when delivery is preferred along with type of delivery. Charges for delivery services apply. Ask for details when placing your order. *Offered in the US only.